The small decrease in overall poaching in 2017 has been overshadowed by a growing concern for the increase and broadening of poaching elsewhere in South Africa as only 1 in 10 rhino poachings resulted in convictions. A total of 1028 rhino were poached from 1 January to 31 December 2017, marking a small decrease of 26 animals compared to 2016, the Minister of Environmental Affairs Edna Molewa confirmed at a briefing on the progress on the implementation of the Integrated Strategic Management of the Rhino. The increase in poaching in five provinces, namely KwaZulu-Natal, the Northern Cape, Mpumalanga, the Free State and North West in 2017, however, is cause for grave concern. This while the Kruger National Park (KNP) again gained ground, showing a 24% decrease in poaching incidents since 2016. 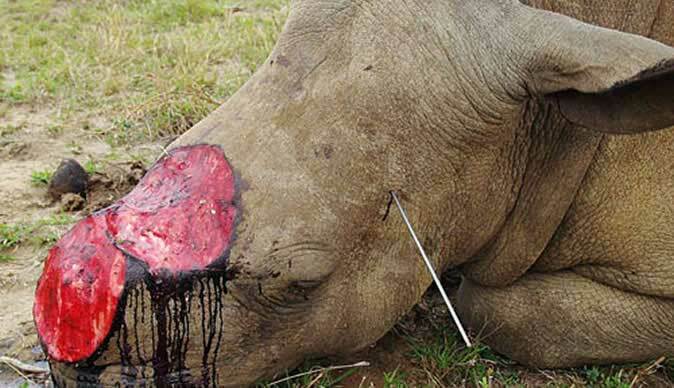 The number of overall poacher activities in the KNP also dropped 7,6%, while a total of 220 weapons were seized in rhino-related incidents inside and adjacent to the KNP in 2017. The successes within the KNP, however, has been marred by increased pressure elsewhere. Molewa notes the phenomenon as an indication that criminals are exploring alternative measures to satisfy the demand. She says the law-enforcement authorities are faced with an increasingly difficult task as poachers and "smugglers are coming up with new ways and methods to process horn and smuggle it out of the country." WWF South Africa, commenting on the stats agrees, saying, "Poaching syndicates on the ground are connected to cross-border wildlife trafficking networks and continue to redirect their efforts to where the risk is lower and the benefits greater." It is also concerning that 21 officials from within the anti-poaching authority were amongst the arrests for poaching-related offences. To weed out insiders, SANParks CEO Fundisile Mketeni confirmed that 'integrity testing' has been implemented for all employees. Along with the small drop in recorded poaching incidents, the DEA reports an increase in convictions from arrests made. In 2017, a total of 518 arrests linked to rhino poaching and horn-trafficking were made, of which 111 criminals were successfully convicted. This 21% conviction rate marks a substantial from 2016 when only 58 of 680 arrests, or 8.5%, were convicted. However, when convictions are calculated against rhinos poached ,the rate is only 10.8%, so effectively only 1 in 10 rhino poaching incidents led to a successfully conviction. There were a number of heavy prison sentences meted out to convicted paochers and middlemen how ever it is concerning to note that many of these had the option of a fine. According to Molewa, anti-poaching efforts will only get tougher. "The increases in other provinces, coupled with the sharp rise in elephant poaching tells us that as we progress and evolve, so do the tactics and methods of the poachers. It is up to us to remain ahead of the game at all times." Apart from the poaching epidemic spreading geographically and into official structures, Molewa also noted the increase of elephant poaching incidents in the Kruger National Park (KNP) in 2017. A total of 67 elephants were killed for their ivory in the Kruger National Park, compared to 46 in 2016, while one elephant in KZN was also poached. The increase in elephant poaching comes despite Molewa mentioning during the mid-year poaching review in July 2017, when 30 elephants had already been poached, that "interventions implemented to counter rhino poaching [were] also used to respond to this emerging threat [of elephant poaching]". Since July 2017, 37 more elephants were poached in the KNP. According to WWF South Africa, the DEA must act fact and address the elephant poaching issue ahead of the curve to prevent the escalation seen for rhino.